A lot of hoopla this men’s college basketball season is circled around the Duke Blue Devils, and with good reason. Coach K earned the services of the top three freshmen in the ESPN top 100 and one of them, Zion Williamson, completely defies the laws of physics as a 6’8”, 270-pound freak of nature. But honestly, saying they could beat the Cleveland Cavaliers? C’mon, that’s just blasphemy. We all saw on national television that Duke can be beaten. 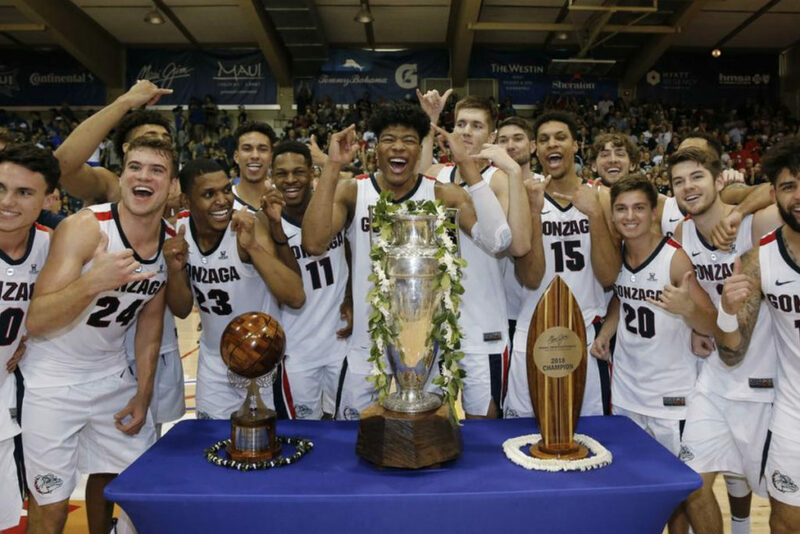 In what has so far been the game of the year, Gonzaga topped the number one team in the country at the Maui Jim Maui Invitational and proved that they are the best team in college basketball. It is the Bulldogs, not the Blue Devils, who should have always had the expectations to go undefeated. Because looking at where they stand right now, Gonzaga should go undefeated. In all honesty, it was never fair to consider Duke to win every game through ACC play. The conference consistently puts more teams in the NCAA Tournament than any other, having eight squads represent them a year ago. In Gonzaga’s case, they compete in the West Coast Conference that is only returning one tournament team, the Bulldogs. Looking at this year’s teams, the ACC have six teams in the top 25 as of week 3, while the Zags are the only WCC team in the rankings, while Saint Mary’s is the only other team in the division to receive votes of any kind (only three). Checking on Gonzaga’s non-conference schedule, there aren’t many opportunities where they should slip up. They take on currently fifth ranked Tennessee on a neutral court on December 9, then six days later they go to Chapel Hill to play #7 UNC. 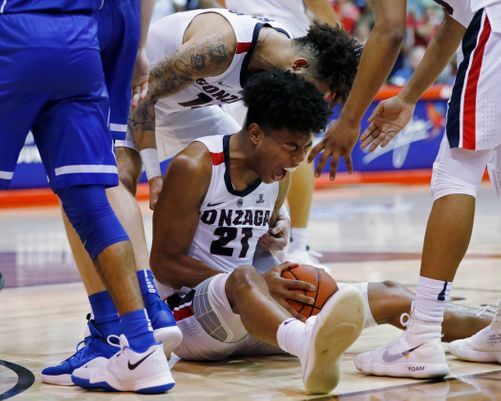 Both of those teams present their own unique challenges, but we’ve seen both squads already drop games to opponents that are not of the caliber of Mark Few’s team. College basketball’s fan base is primarily infatuated with flashy freshmen whose highlight tapes they’ve been watching on Instagram since they were 12. In actuality, teams that win the most are the ones with solid foundations led by veterans. Just look at the last few teams to make the Final Four: Loyala Chicago was led by juniors Marques Townes and Clayton Custer, Michigan by a junior and a senior, and neither Kansas nor Villanova had any freshmen in their starting lineup. Gonzaga has the core necessary to go all the way. They have a levelheaded leader at point guard in senior Josh Perkins, junior Rui Hachimura is the team’s top scorer with a 59% shooting percentage and sophomore Zach Norvell is a lethal three-point shooter. If the talent isn’t enough, Mark Few is one of college basketball’s best coaches and has the Final Four experience necessary to keep the team consistent. There is plenty of reason to believe that this is the Zags year. Not just because they beat the “all mighty” Blue Devils, but because they have all the pieces with very few flaws. They are playing significantly better than any other team in the country just three weeks into the season and there is zero reason to believe they will slow down any time soon.